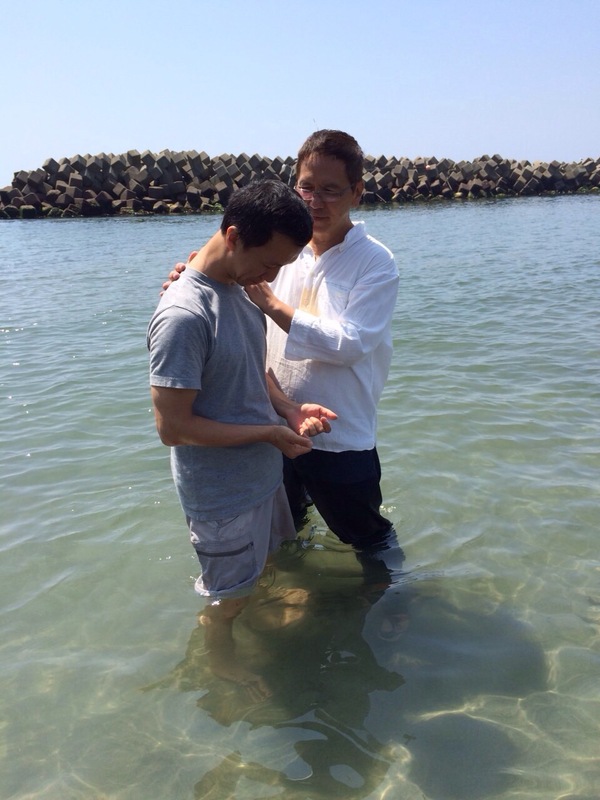 Last Sunday we had the privilege of baptizing Hoe Chin and Marumo Hiroshi. The whole cell group together with some guests were there to witness this historic event. Hoe Chin is from FCBC Singapore but has spent 7 years in Japan pursuing his Masters and PHD at Keio University. Back then, He was a Christian but had not been baptized yet. Then last year he came several times to Sendai to serve with us and as a result his heart for Jesus was rekindled. Throughout this last year he has become spiritually stronger. He attended the Encounter Weekend and decided to take a step in faith and obedience to get baptized. Events in his life have also taken a turn – he has experienced God’s favor, and his PHD program is now turbo charged and is progressing steeply. Marumo Hiroshi found himself in Sendai last year after some events that happened while he was living in Tokyo. He is a fan of Facebook and while browsing, found Ps Caleb who lives in Sendai and has the same birthday as himself . He decided to connect with Ps Caleb on Facebook and was subsequently invited to attend FCBC Sendai. At the first service he attended , he accepted Jesus Christ and was introduced to the spiritual family. 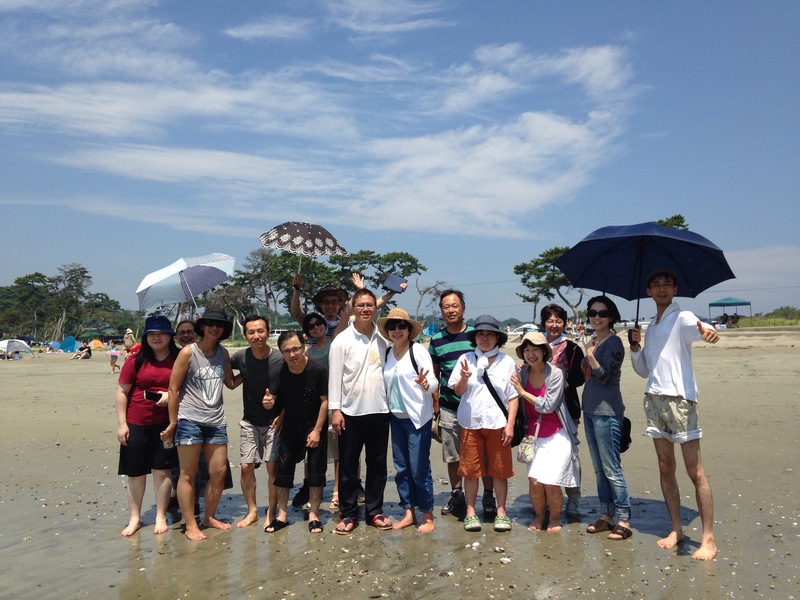 Despite doing shift work in a restaurant , he always tries to arrange Saturday as a day off so that he can attend the FCBC Sendai English conversation class and church service. 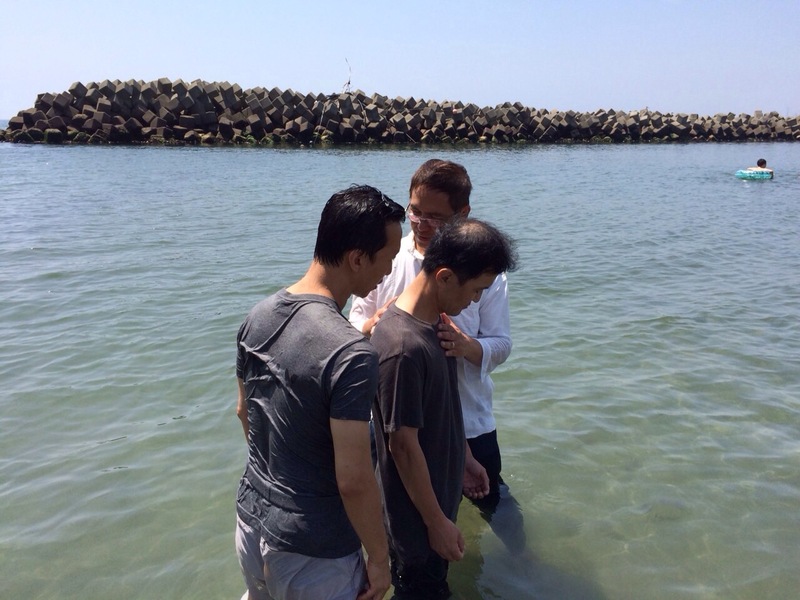 Recently, he attended the Encounter Weekend, and without hesitation, signed up for water baptism. All glory to God for building this community in Sendai.